Depending on the case you order your keyguard may be cut with openings to allow attachment of suction cups. The attachment of suction cups is optional and the suction cups may be purchased at a later date. Suction cups stick to the glass of the iPad(any version) and hold the keyguard in place. The same openings that the suction cups fit can be used to attach the elastic strap option, item #SA-337, which is available for an additonal charge. This option is not available for all keyguards. Suction cups work well when the iPad is used without a case, or with the smart cover. Please review the information regarding cases to determine if suction cups are available for your case. Removal of suction cups from the iPad is simple. Gently slide a business card or piece of heavy card stock under the cup and the suction is broken, keyguard can then be removed. DO NOT use metal or sharp objects to release the suction cups as this may scratch the glass and/or cut the user. May also be ordered as replacements for lost/damaged suction cups. Sold in sets of 4(four). 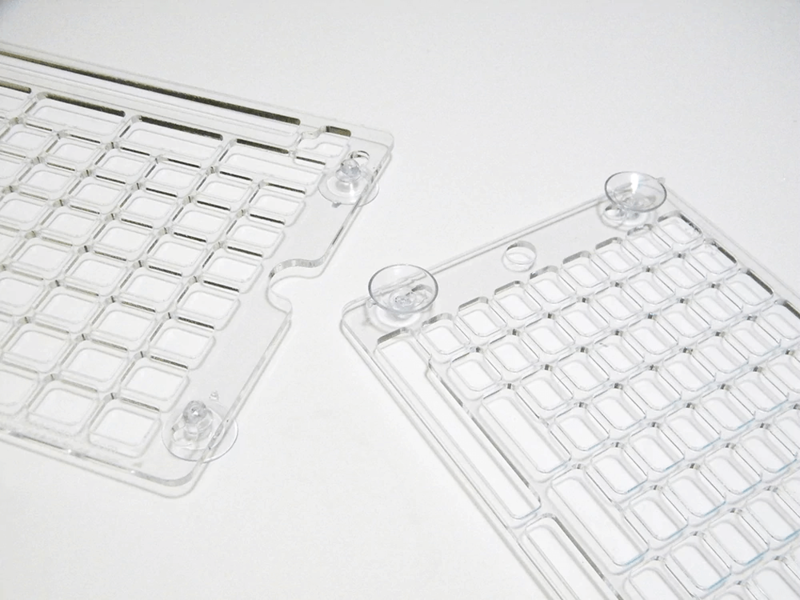 Please note that the suction cups are not available for keyguards that are cut with either 3/16 or 1/4 inch acrylic. You may want to consider the elastic straps or suction cup tape for these keyguards.